Yiamus ! which means Cheers in Greek language, is situated in the calm and serene surroundings of Ballard Estate in Mumbai. It is a go to venue for old world heritage atmosphere with all the modern day facilities. With high wooden ceilings, and old world staircase, you get transported to another world altogether just by stepping in. Born out of love in the year 2013, Xenia Hospitality Solutions (LLP) has always been striving for dedication towards providing Unique, Innovative and Customized Hospitality Solutions. Ballard Estate, Mumbai’s 100-year-old European style business district is known for its British lineage and architecture. Yiamas balances this vintage infrastructure with modernism, thereby adding to the heritage that southern Mumbai parades. Yiamas, is the only experimental space in Mumbai which presents itself as an empty canvas; free to viewers’ interpretation – A space that; gives you the opportunity to weave stories to compliment your memories. As the owner suggests, a space for any occasion or events be it a wedding, reception, conferences, pop up party, DJ night, art exhibition, product launches, birthday party, bachelors/spinster party, etc. and anything else that a client may desire to celebrate. Xenia Hospitality is geared to offer an eclectic blend of their service offerings, right from distinctive design and decor to bespoke catering, bar solutions and music and projector rentals. An empty canvas for You. The interiors being the idea of the owner showcase a classic vintage European style with a dash of Greek culture keeping the modern needs in mind. The space can accommodate around 100 – 125 people and serve to the same. 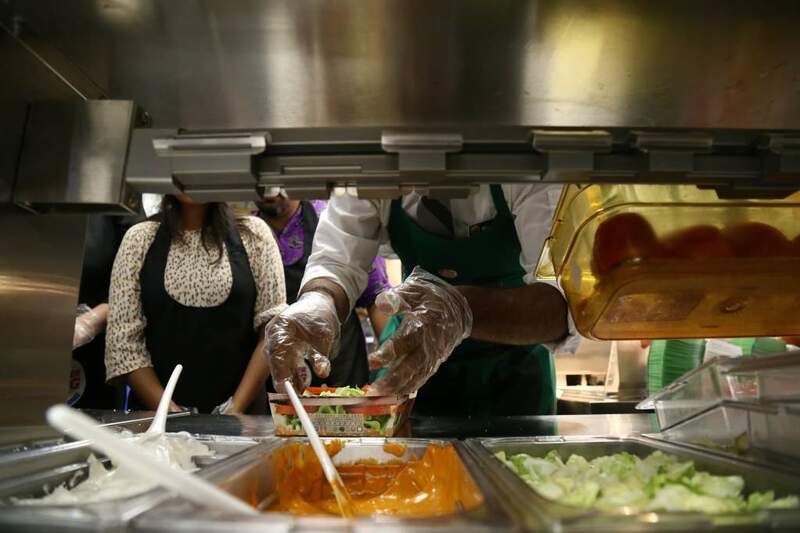 The owner added, “We understand that food is a matter of individual tastes and preferences, keeping the same in mind we are open to them bringing in their own. We aim at providing you with a flexible venue where you feel at ease”. A key feature, something you won’t find everywhere!! So let’s open the book and start penning down your next story. YIAMAS! A Glamorous Evening. Awards given to 29 Categories amidst an entertainment filled evening. The event managed by Wiz craft International Entertainment Pvt. Ltd. The Retailer Awards compromised of -Best Diamond Jewelry Of The Year-In Vogue, Best Diamond Jewelry Of The Year-Bridal, Best Gold Jewelry Of The Year-In Vogue, Best Gold Jewelry Of The Year-Bridal, Best Jadau Jewelry Of The Year, Best Jadau Jewelry Of The Year, Non- Precious Stones, Best Colored Stone Jewelry Of The Year, Best Unique & Innovative Promotion Of The Year, Best Advertising Campaign Of The Year, Best Advertising Campaign Of The Year, Audio/Visual, Best Single Store Of The Year, Regions Pan India: North, Central East:, West, South and Best Retail Chain Of The Year. The Manufacturer Awards – Jewelry (For Gjf Members Only) compromised of Best Diamond Jewelry Design of the Year Categories: Best Gold Jewelry Design of the Year, Best Jadau Jewelry Design of the Year, Best Platinum Jewelry Design of the Year and Best C Z Jewelry Design of the Year. The Jewelers Awards-Jewelry (Open to All in the Industry Fraternity) compromised of Paramparik Jewelry of the Year, Regions Pan India: North, Central East, West, South, and Unique Jewelry Design of the Year. NJA is the Industry’s most prestigious annual awards show, organized by GJF and a platform to recognize and honor talent with unbiased and relentless efforts for the welfare of Gems & Jewelry industry in India. Honoring the works from 34 categories, the Awards comprised of 16 Jewelry Award Categories, Excellence Awards – 9 Categories, Artisan / Craftsman / Designer Awards – 3 Categories, Student Awards* – 1 Category, the winning Students received Scholarships from GJF to pursue a career in Jewelry industry with a total scholarship of Rs. 15 lacs, Gem of the year award and Anmol Ratna Award amongst others. Presence of noted Jewelers, Designers, Celebrities and Socialites were part of the evening in their best Jewelry attires. Bollywood divas Daisy Shah, Ayesha Takia, Ameesha Patel & Shriya Saran walked the ramp in a beautiful ensemble collection put together by Designer Archana Kochhar. The audiences were captivated by glamour packed performances by Lauren Gotlieb, Manasi Scott and the Glamour – Humour combination was presented by Manish Paul who constantly kept the laughter riots on. The NJA Committee comprises of NJA Committee Convener – Mr. K. Srinivasan , NJA Committee Members – Mr. G V Sreedhar (Chairman of GJF), Mrs. Nirupa Bhatt, Mr. Dinesh Jain, Mr. Rajendra Jain, Mr. Pramod Agarwal, Mr. Ashok Baradia and Mr. DD Karel. The Awards are being Presented by Swarovski Gemstones, World Gold Council as Associate Partner, Platinum Evara as Platinum Partner, Logistic Partner: Sequel Logistics, Co-Supporting Partners: GRT Jewelers and MMTC PAMP, Trade Media Partner: Heera Zhaveraat International, Outdoor Media Partner: Art Media Advt. 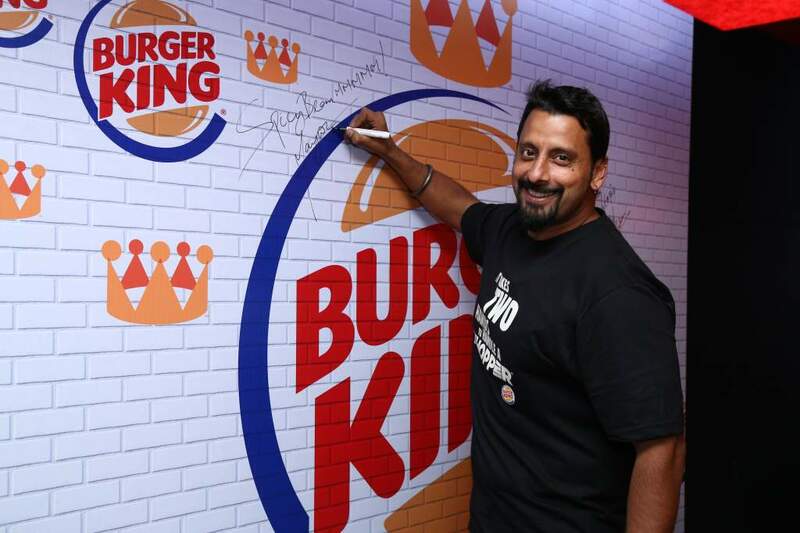 Burger King opened doors of India’s first Burger King Restaurant in New Delhi on Sunday, 9th November 2014. 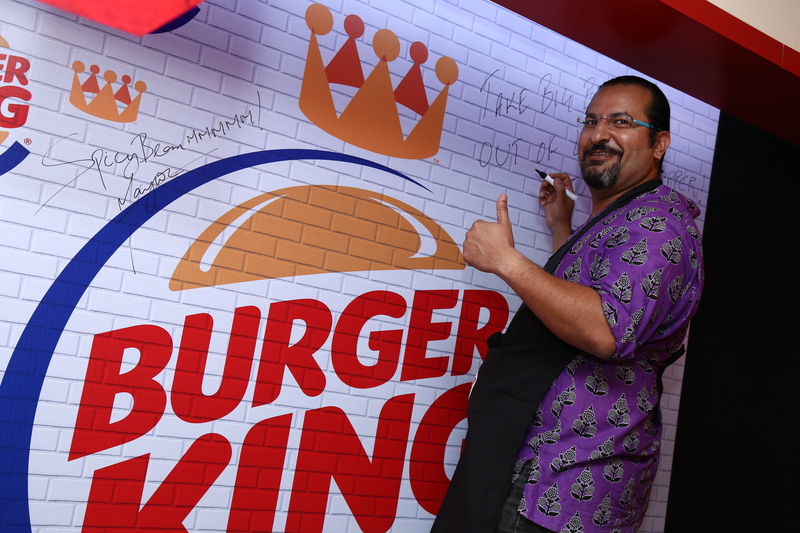 The inaugural outlet is situated in Select Citywalk, Saket, New Delhi and marks the commencement of a minutely deliberated strategy to build BURGER KING® as a committed brand that will create & innovate for the discerning Indian consumer’s palate. 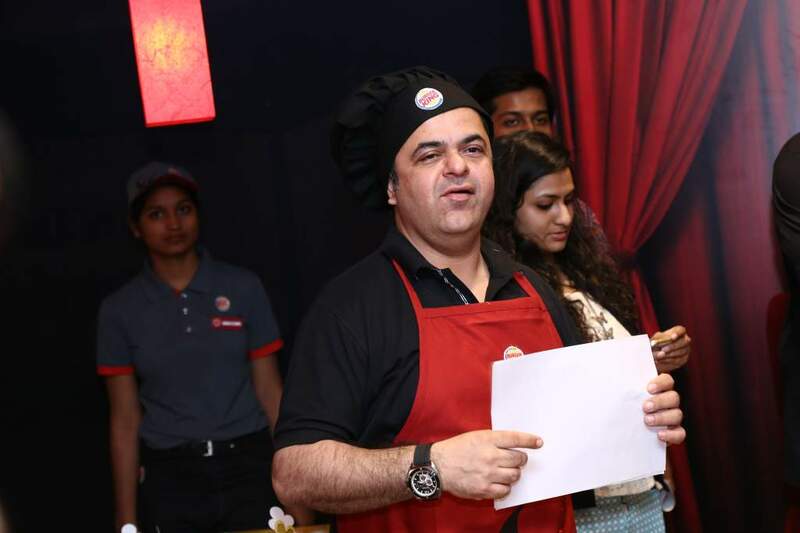 This event marks not only its debut in India, but also a milestone for the BURGER KING® brand, which is now operating in its 100th country. 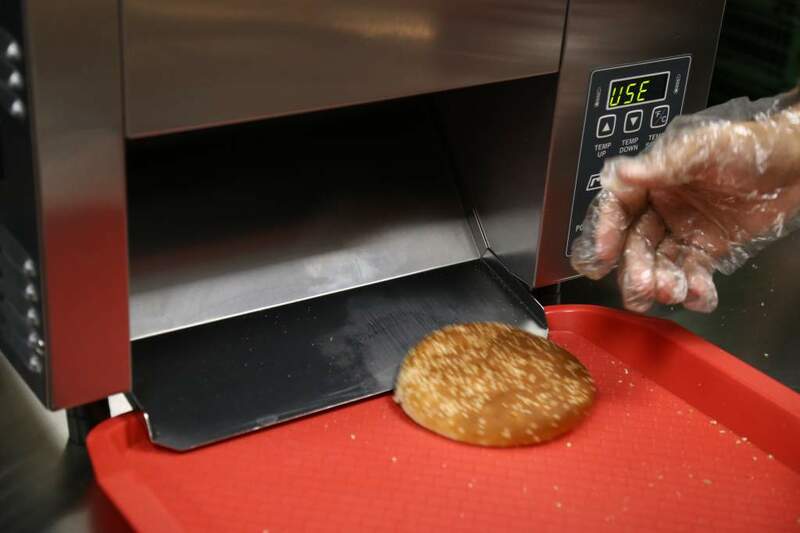 Since the launch, BURGER KING® has served more than 10,000 eager guests who waited their turn to get their hands on the WHOPPER®. 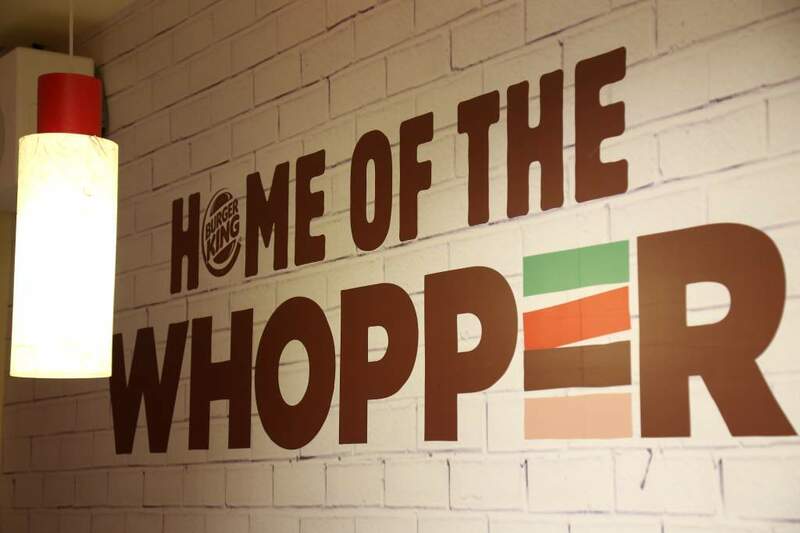 Additionally, the debut restaurant sold more than 4,500 Whoppers in the last 2 days, setting a milestone for its launch in India. 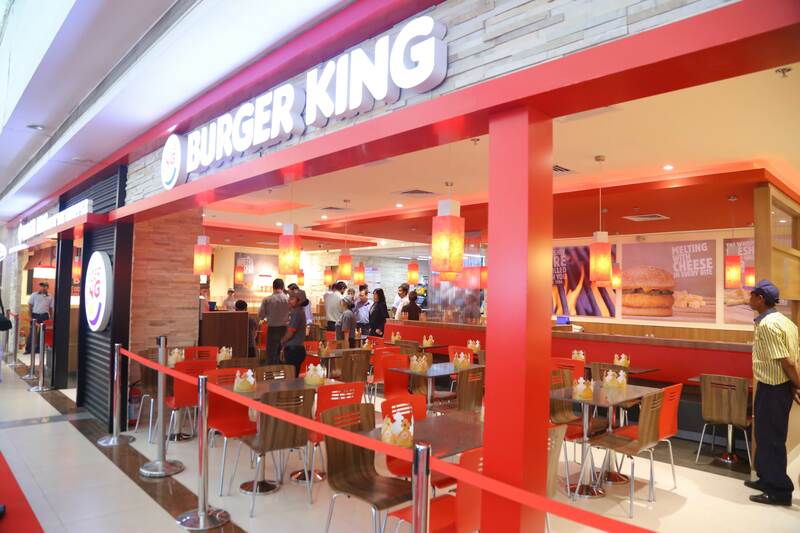 Burger King Worldwide, Inc. and Everstone Group, a leading private equity and real estate firm in India and South East Asia, established a joint venture in 2013 to develop the BURGER KING® brand in India. The BURGER KING® India menu offers a wide variety of vegetarian & non-vegetarian burgers with quality ingredients across various price-points and is designed to help consumers find options to suit their needs.BURGER KING® has also created a special upgrade option for Indian customers where one can upgrade any burger to a combo including a beverage and fries for an additional Rs 50 only. 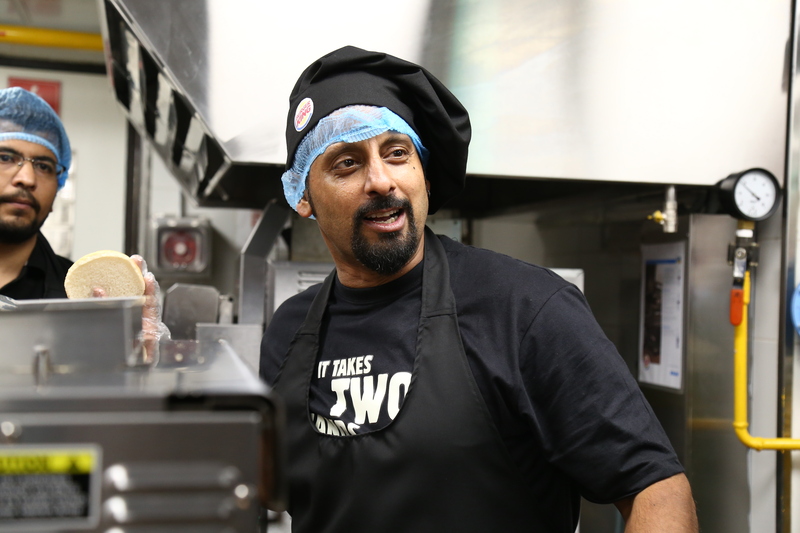 India is the ground for many pioneering innovations for BURGER KING®. While the menu has international classics like the iconic WHOPPER® and the Original Royale, BURGER KING® has spared no effort in understanding Indian consumers and giving them what they love. The WHOPPER® is thus available in three options – veg, chicken and mutton. But, the real difference will come for the large cheese consuming audience with a newly created platform for India called the Melt series, with molten cheese infused recipes in various options across veg and non-veg burgers and sides. Vegetarian consumers will be spoilt for choice between crispy, spicy, vegetable, paneer, cheese, bean, long or big burgers and sides including innovative fries and desserts. The brand in India will continue to stand for quality, freshness, flame-grilled style of cooking, satisfactory portion sizes and above all, great taste.